This ancient vineyard dates back to the 15th Century and lies on a clay-limestone hillside a few kilometres to the north-east of Saint-Emilion, an appellation with which it is comparable. 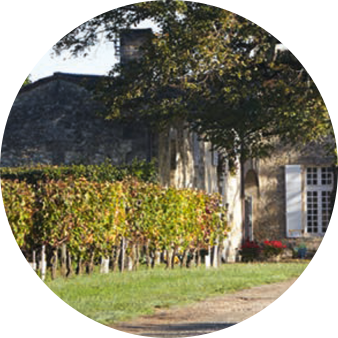 The chateau has belonged to the Durand Teyssier family since 1920. 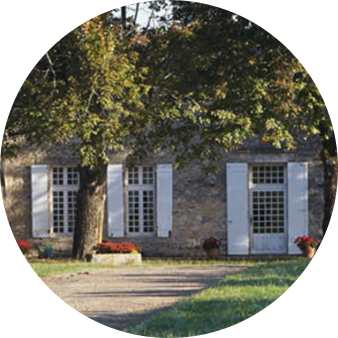 Previously owned by the Des Laurets, family, of Chateau des Laurets, this magnificent 18th century manor house was for many years used as the family hunting pavillon, as the antlers found above one of the doorframes pay testament. The vineyard has not changed much since 1920, and already stretched over approximately 40ha when acquired by the Durant-Teyssier family’s great-grandfather. Three subsequent generations have adapted grape varieties and rootstocks to the specific characteristics of each vineyard plot : a further 12 hectares of vines were replanted between 1993 and 2000. The vine-growing techniques were modified to improve the quality of the grapes: changes to the way the vines are trained to increase leaf surface area, leaf-stripping, green harvesting when necessary, application of rational vine-treatment methods to the whole of the vineyard. In 1993, the system for receiving the harvest in the winery was adapted, with the installation of a conveyor belt to transport the grapes without crushing them. Stainless steel and concrete tanks are all temperature-controlled, and the introduction of small-capacity tanks now ensures that premium quality parcels are vinified separately, providing an exceptional wealth of wines for the final blends. Underground, the magnificent barrel hall contains 400 barriques, 50% of which is replaced every year.